In line with its commitment to putting customers first, Graham Plumbers’ Merchant has simplified its pricing structure for 30,000 of its most popular product lines. A new Trade Saver catalogue and an enhanced Always Available range will now have fixed prices, giving installers clarity and certainty when it comes to pricing jobs. Research has shown that the trade has fallen out of love with the pricing structure of traditional merchants, with installers less likely to want to spend their time negotiating deals – and many citing inconsistent pricing as one of their biggest bugbears. In response to this, Graham’s fixed price range has been introduced, including products across bathrooms, heating and plumbing, tools, commercial and smart technology. This includes Graham’s Always Available range; over 2,000 products that are always in stock, in every branch. A quarterly Trade Saver brochure has been launched, updated every three months and giving the fixed prices of the most popular lines. 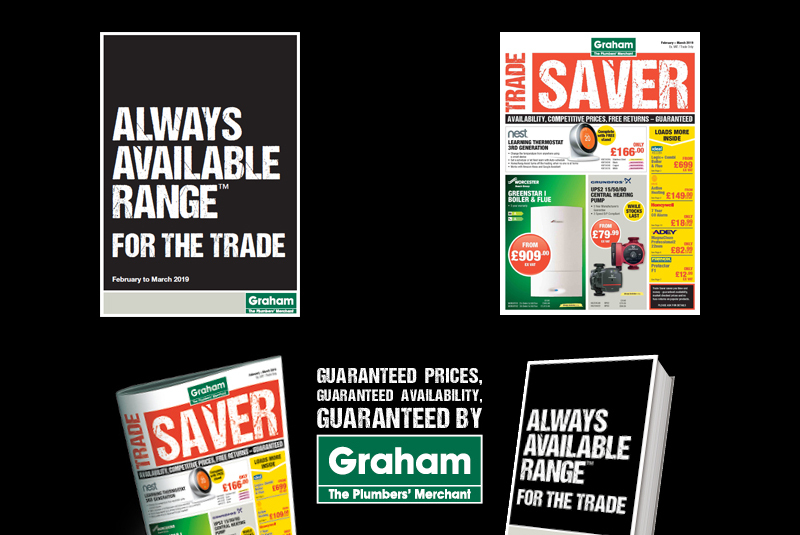 Both the Always Available and Trade Saver catalogues are available in store.